1. Introduce about the art history of Pro-historic period. 2. Describe in short about the art of Licchabi period with example. 3. Introduce about the Scope of art. 4. Write the importance of 'Harmony' in an art drawing. 5. What is 'Formal Balance'? Write its importance in art drawing with example. 6. Describe with example about importance of 'Colour' in art. 7. Write about the importance of 'Composition' in art. 8. What is design? Write the importance of it in Nepalese society. 10. Write what is 'abstract' art? 11. Write the role of Lainsingh Bangdel in the field of Nepalese art. 12. Write in short of any two. 13. 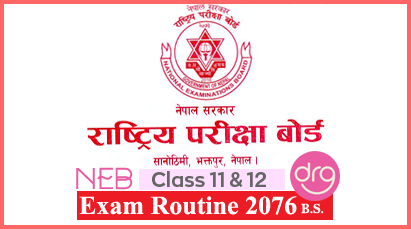 Write the name of the main person who played important role to establish only one art school in Nepal? 14. Which is mixed in oil colour to do painting? 15. Realistic art is Known as? 21. What is meant by warm colour? 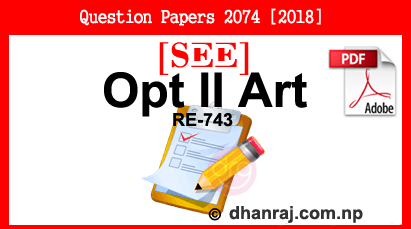 0 Response to "Optional II Art | Exam Paper | 2074  | RE-743 | SEE"